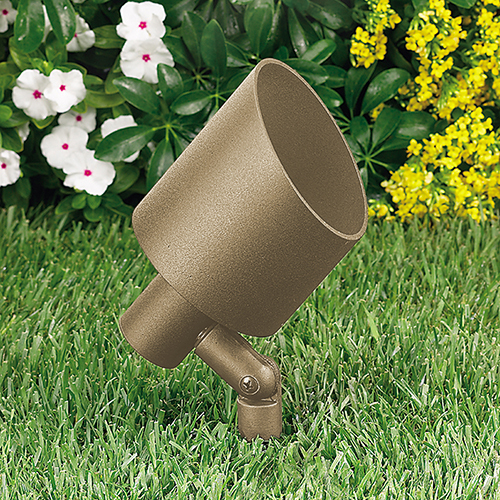 This distinctively designed low voltage up & accent fixture is a single-piece housing/shroud constructed of die-cast, copper-free aluminum for strength and reliability. 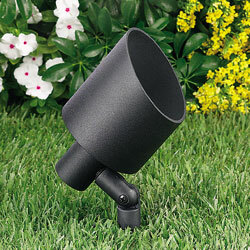 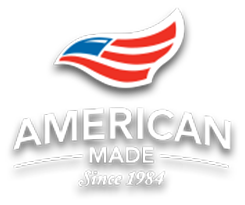 A super durable polyester powder-coated finish is applied and available in 18 colors. The intelligently engineered fully adjustable knuckle is made from injection-molded, fiber-reinforced composite which effectively isolates the fixture from the harmful corrosive soil. 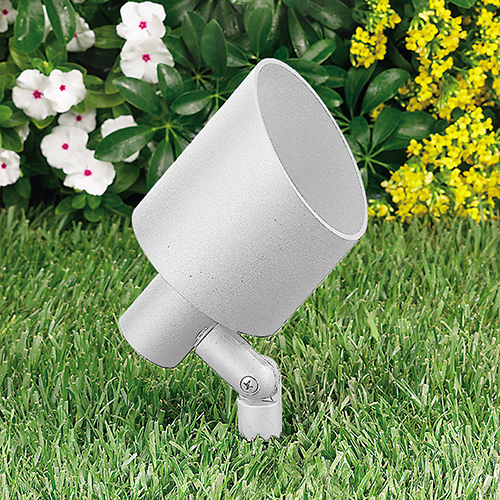 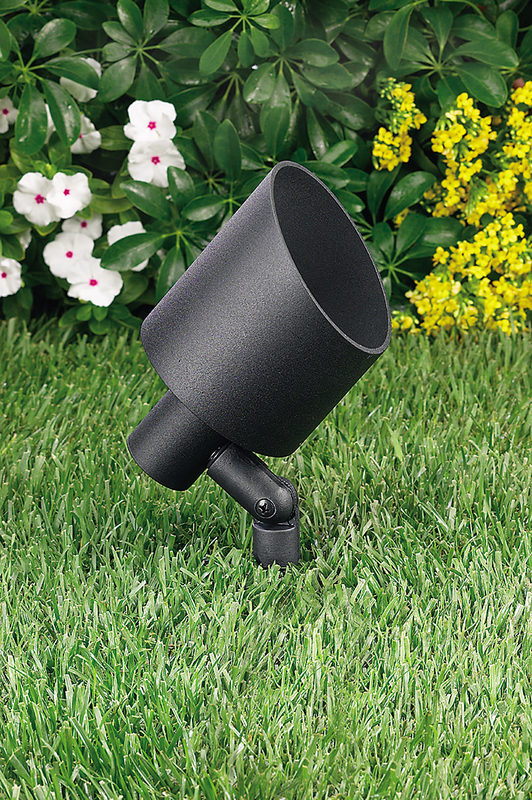 The 5237 is shipped with a standard 18W PAR36 flood lamp, unless otherwise specified. Mounting hardware is included – choice of ABS ground stake, mounting canopy, or tree-mount canopy.